While biggies like Flipkart and Snapdeal are figuring out where their next round of funding is coming from and looking at the very real possibility of down rounds, a relatively unknown player in the space is all set to get money from public markets. Infibeam, founded in 2007 by Cornell and MIT Sloan alumnus Vishal Mehta, has its IPO scheduled on 21st March from which it hopes to raise Rs. 450 crore. The company has fixed the price band at Rs 360-432 per equity share, and has proposed to list its shares on the NSE and BSE. Infibeam plans to utilize the IPO proceeds towards setting up of cloud data centre and shifting and setting up of registered and corporate office of the company. The funds will also be used for setting up of 75 logistics centers across the country. While public attention on the e-commerce space has been fixed squarely on Flipkart and Snapdeal over the recent years, Infibeam has grown silently since its inception in 2007. The company has offices in Ahmedabad, Delhi, Mumbai and Bangalore, and has a total of 1300 employees. Its revenues for FY 2014 were were Rs. 207.3 crore, a far cry from Flipkart’s Rs. 2,846 crore in the same period, but its losses were proportionately lower too – the company had a loss of just Rs. 25 crore in 2014. 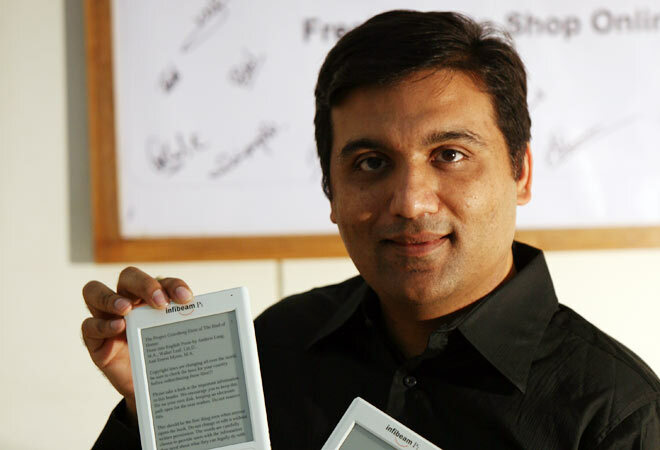 Apart from its e-commerce business that sells phones, books and clothing, Infibeam also launched its own ebook reader, called Infibeam Pi in 2012. The company also operates an e-commerce platform called Buildbazaar that helps users create their own web stores. It has also launched its own music streaming service and ShipDriod, a logistics aggregation platform that provides uniformity of logistics services to small merchants across all courier partners.